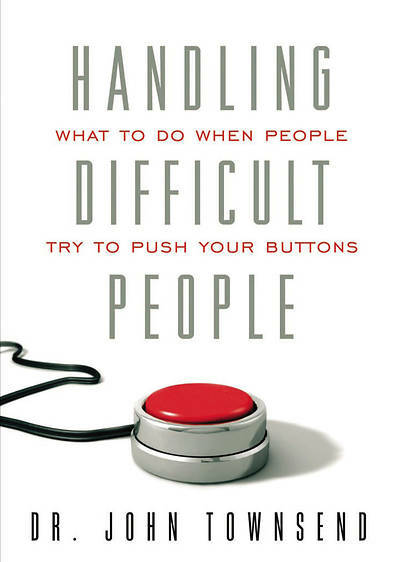 Let's face it, hard as we try, none of us can avoid contact with difficult people.? Some people just seem to savor unnecessary and unhealthy conflict; they don't seem to be happy unless they are driving those around them crazy.? Best-selling author and noted relationship expert, Dr. John Townsend, helps us better understand what makes "button pushers" act the way they do-and why they want to elicit a negative emotional and even behavioral response from us.? He challenges readers to take personal responsibility and stop responding to difficult people in ways that just don't work ? He then offers a whole new repertoire of responses, including specific guidance on body language and verbal scripts, which will allow us to confront and negotiate with "crazy-makers" on a brand new level.